What Would be the Future Bathroom Space in The Eyes of Today Creative Minds? 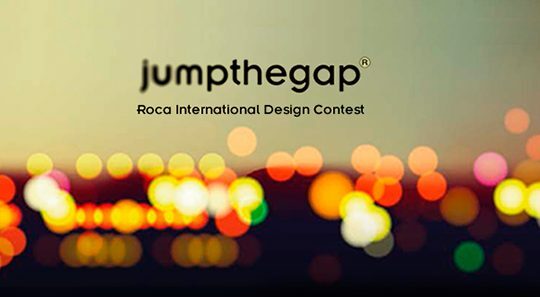 With the vision of discovering the new, innovative and sustainable concepts for the bathroom space, Roca has organised ‘Jumpthegap’, the biannual international design contest since 2004 with the collaboration of Barcelona Design Centre (BCD). The competition aims at architecture and design professionals and students under 35, who look to the future of bathroom products while fulfilling the needs of the people today. Therefore, ‘Jumpthegap’ looks for inspiring design projects that excel at sustainability and automatisation, consider the needs of the aging population and provide the users with surprising and homey experiences. In 2017, numerous creative people participated in ‘Jumpthegap’, which provided the winning projects of ‘Professional Category’ and ‘Student Category’ respectively with the prize of €10000, plus giving one special ‘We Are Water Foundation’ prize of €6000. The jury of the seventh edition was formed by well-reputed personalities in the world of design and architecture. The competition ‘Jumpthegap’ encourages the aspiring talents of our time to unleash their imagination for creating and designing the revolutionary bathroom spaces of tomorrow. Over the last six editions, 14600 participants from 112 countries submitted 2300 projects of innovative bathroom and related products. Established in 1917, Roca celebrates its 100th Anniversary in 2017; therefore, the seventh edition of ‘Jumpthegap’ is an extraordinary and memorable event to both Roca and the participants.